You're pretty vocal which, I think, is a good thing. And now, you have the socks to match! 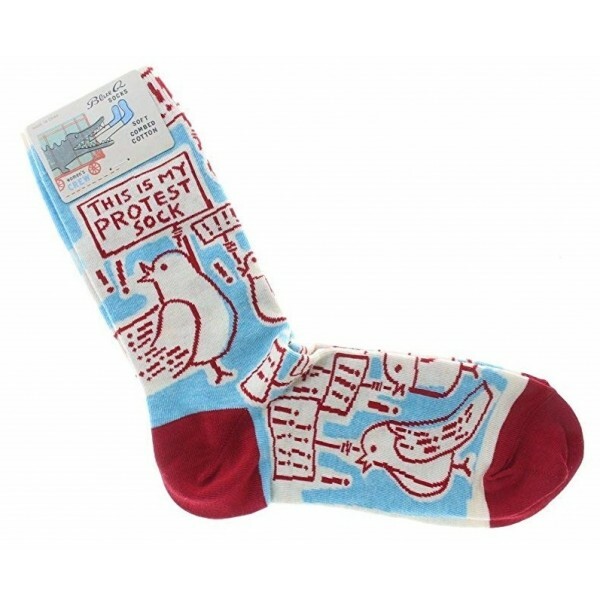 These 51% combed cotton, 47% nylon, and 2% spandex crew socks remind everyone who sees them that you're not afraid to stand up for what's right. 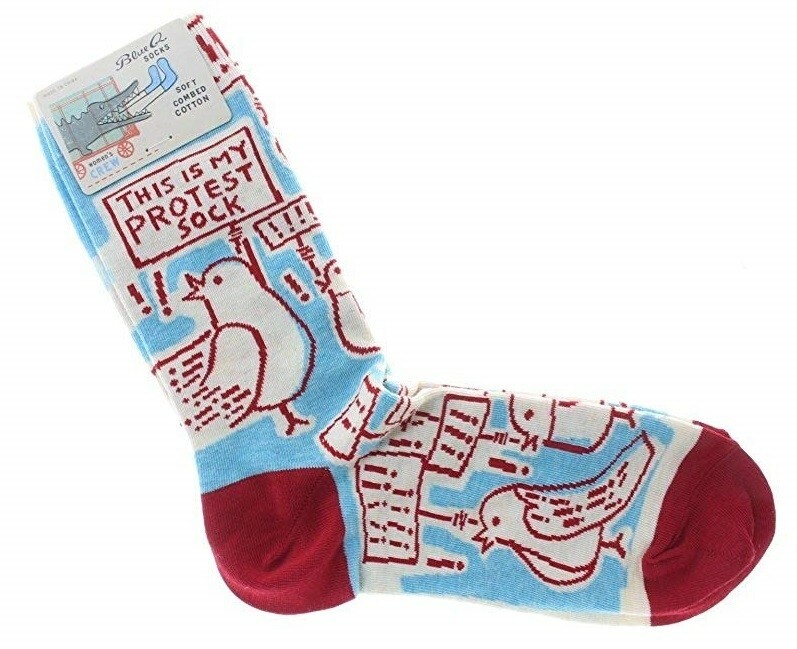 They're the perfect choice for any day — but especially apt for the next time you take to the streets to march! Available in one size which fits most women's shoe sizes 5 to 10.